Pvt. 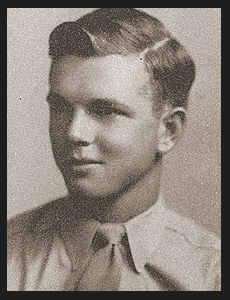 Jack R. Douglas, son of Mr. and Mrs. H.M. Douglas, graduated from Grandfield High School. Entered the Air Corps in Aug, 1943, trained in Amarillo, Texas, Merced, Cal, Luke Field, Ariz, Scott Field, Ill; was discharged in Nov, 1945.